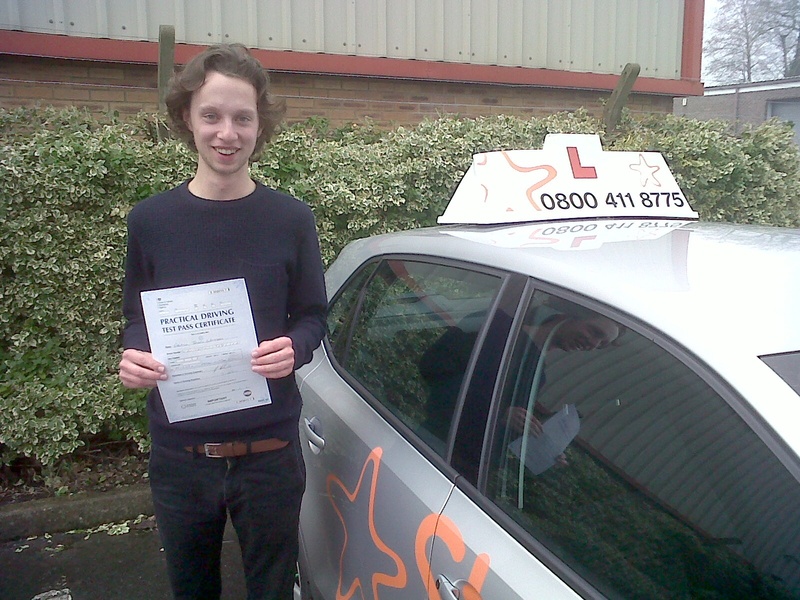 Gabe with his Practical Driving Test Pass Certificate outside Weston-super-Mare Driving Test Centre. Many congratulations to Gabe Whitehead of Wells who passed his Practical Driving Test first time with just 3 minors on Wednesday 25th February 2015 at Weston super Mare driving test centre. All the best from your Driving Instructor Nigel Steady and all the team at Starfish Driving. A great drive, now you can enjoy your holiday and come back speaking Spanish! This entry was posted in Wells, Weston Super Mare and tagged Driving Lessons, Nigel Steady, practical driving test, Starfish Driving, wells, weston-super-mare. Bookmark the permalink.